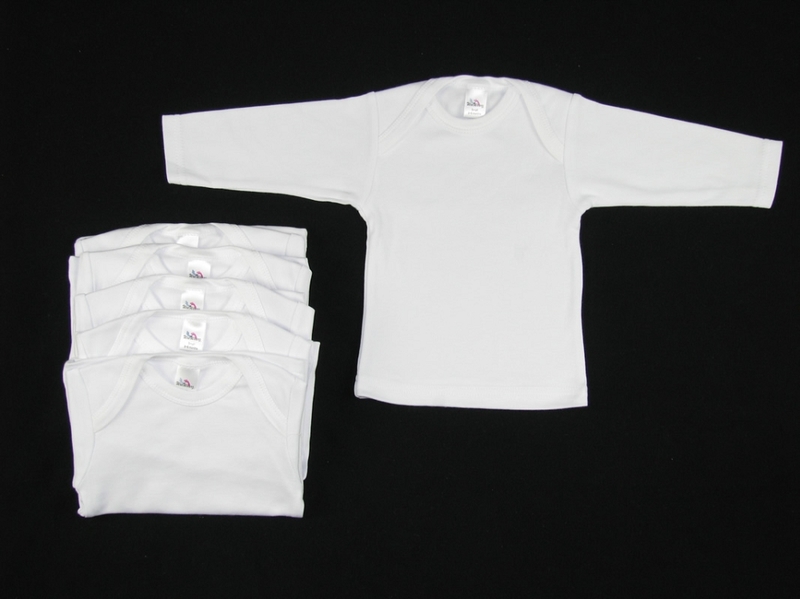 Long sleeved infant shirt with lap shoulder and finished edges. 100% Interlock Cotton. 6.1 ounce interlock, ring-spun, combed cotton ensures that your clients are purchasing the highest quality for a great value! Our material is perfect for designing, whether your business embroiders, screen prints, or otherwise embellishes on on products. Your clients will love the quality of our Wee Wearz Lap-T Shirts!